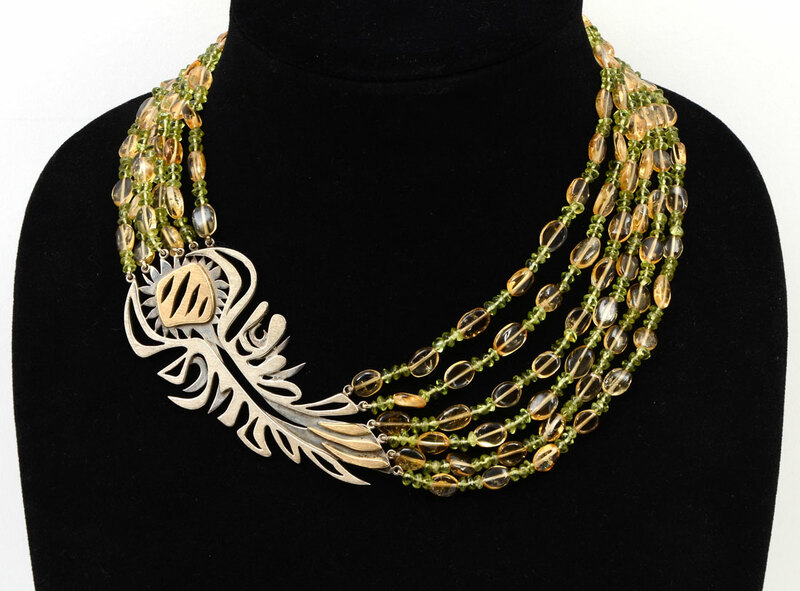 JOHN AGEE OF PARIS STERLING & 18K NECKLACE: 6 strands of green and yellow stones connect to the beautiful central free-form medallion of sterling with 18K insets. 15.5'' long. John Agee is American born and educated and lives in Paris.